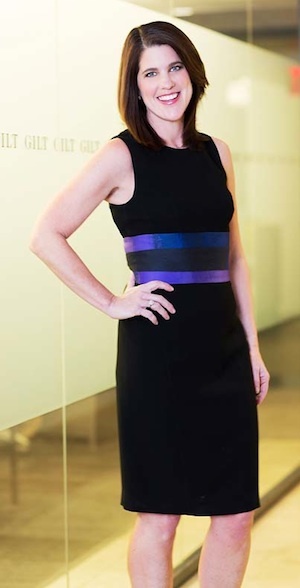 When Kathy Leo came aboard Gilt Groupe Inc., an innovative online shopping destination that offers its members special access to inspiring merchandise and experiences at insider prices, the rapidly growing company was in need of internal organization. Initially brought on as general counsel and later accepting the twin responsibilities of putting its legal and people matters in order, Leo set to work instituting strategies that favor straight talk, solutions, and superior results. To be able to digest the law and to think about solutions for the business is a skill that must be developed, but is invaluable once mastered. For Kathy Leo, her high road when faced with a business challenge is not to say no, but to think creatively about what can be done to create win-win situations for the business. Part of that process involves identifying all the risks up front, mitigating them when possible, and ultimately developing an educated assessment of the reasonableness of a course of action given the particular business goals. In her own experience, Leo recalls that there have been times in which a business deal presented serious potential risks, but she has instilled with her team that sometimes, on balance, getting the deal done may be more important to the business than a specific identifiable issue that can’t be resolved in the negotiation. In these instances, she and her team are able to see the forest through the trees for the betterment of the enterprise. Processes save time. When Leo joined Gilt it was suffering from a pitfall of fast-growing companies: as problems emerged, short-term solutions were applied like buckets of water to a fire, but they never made reacting to the flames any easier or more efficient. The disorder was especially precarious because, as an international company operating in the United States, Ireland, and Japan, Gilt requires Leo and her team to be conscious of country-specific discrepancies, as well as the nuances of the company’s 4,000 brand relationships. When a résumé crosses Leo’s desk, she is not looking at experience to glean a candidate’s skill set, but rather their potential. “What’s true for lawyers is true for HR generalists,” she says. “Technical skills are only a small part of someone’s success. Hire the best athlete, and you can teach them your cultural criteria.” Equally important as résumé review is the interview process, and Leo prescribes an engaged, thoughtful chief legal officer or chief people officer to carry it out. Outsourcing these tasks can become costly for the executive looking to save time. Leo says participating in interviews and reference checks gives her the opportunity to prime references for trouble spots and candidates for their strengths and weaknesses. She also recommends allowing interviewees to interact with each level of the business to gauge their interpersonal aptitude and ability to be a team player. By changing the way her department responded to requests, Leo was able to change its perception by the other business units. In line with her solution-oriented approach, Leo fostered a culture of execution and a sense of urgency.